We were pretty lucky in regards to damage from hurricane Matthew, by the time it hit us it had mellowed to a category 1, or maybe even just a tropical storm. 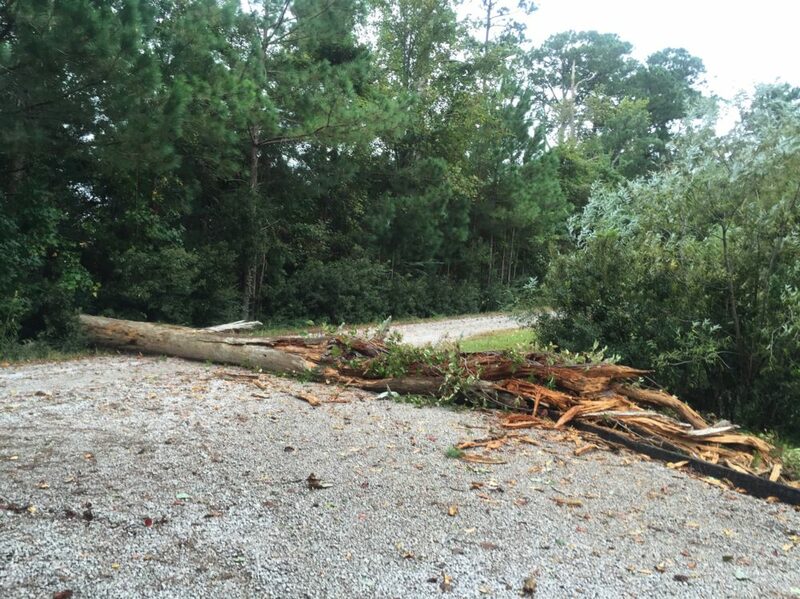 The worst of it was this tree down across the driveway. It actually happened before the storm really hit, and with the help from our neighbors we got it cleared in about an hour. Other than that, we had a lot of tree branches down, but no damage to our house or other structures. We did lose power for about 16 hours, but we had prepared for that, so really it was just a minor inconvenience. 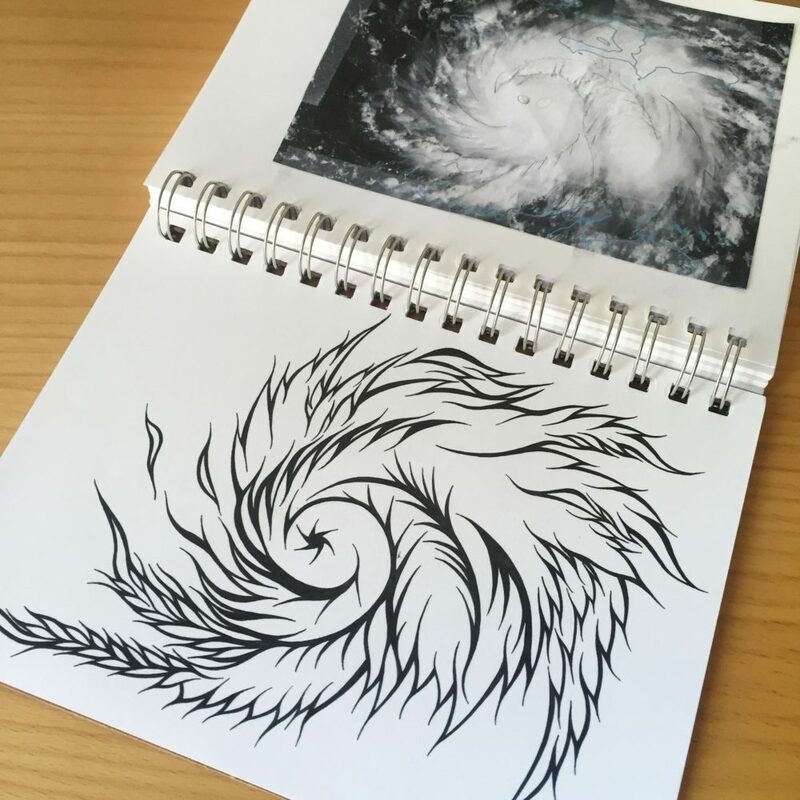 And this is a drawing of the storm, while it was still a category 4, that I did in my sketchbook. This entry was posted in Sketchbook on October 13, 2016 by RyanMcGurl.